If you’re not measuring your marketing efforts, analyzing the data, and tweaking for better outcomes, it’s like playing darts blindfolded. Incidentally, professional dart players advise against this strategy. Few who would argue otherwise. Broken down in the simplest way, data helps us understand. The success stories are numerous, from Shell crunching data to anticipate machine failure to RRD being able to better predict rate variables due to weather, political climates, and geography. Businesses use it to build a better return on their investment, and marketing is definitely an investment. In short, the “why” is simple ― we use data in business to make more money. The benefits of using data can be felt in all areas of business, including using data to build better blog posts. The trick for most people is learning how to interpret the data and paying attention to the right data. In 2019, there’s certainly no shortage. Most savvy marketers use social media in their marketing efforts, but the best go far beyond posting and engaging. Marketers in every industry, from healthcare to retail, use data to measure and adjust their marketing campaigns and social media interactions. Marketing needs to drive leads. Otherwise, what’s the point? By defining and continually refining your target market, then specializing your marketing efforts, you maximize your chances of attracting customers to your business. Knowing how many leads you’re getting is essential, as is knowing where those leads come from. You can’t get sales without them, so their importance is undeniable. Organizing and keeping track of those leads is also vital. Your conversion rate is another key metric. This simply refers to a percentage of people who have taken a specific action. The action itself can vary wildly, but you have to understand how many newcomers are being converted into potential customers, first-time customers, and repeat customers. Conversions should place everywhere your marketing is concentrated. There is no one area, unless your marketing efforts are only focused on one area. 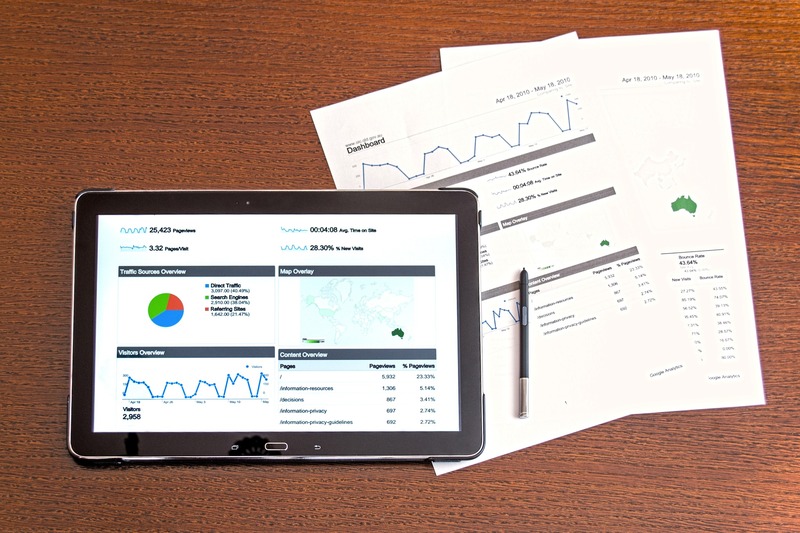 Tracking and recording data on sales is an important part of evaluating your marketing. All the leads in the world won’t matter if you can’t convert them into sales. Don’t conflate conversions and sales, either. Conversions can simply refer to getting a new subscriber online and adding to your email list. Remember, it’s an action that is meant to lead to your desired outcome, which is eventually sales. Leads, conversions, sales. Sounds simple enough. But what are some important metrics to pay attention to, particularly for marketers just starting out? If we attempted to write about all the data analysis that occurs in the world of business and marketing, this wouldn’t just become a book — it would become a lengthy series of books. So, let’s look at the obvious place to begin: web analytics. Web Traffic: Successful businesses generally have successful websites. It’s important to understand how many people are visiting each individual page, where they’re coming from, and how long they’re staying there. Engagement: This refers to all the ways people are interacting with your site, your social accounts, your emails, and so forth. It’s important to know how long and how often you’re getting this engagement. Open Rate: This is an email metric that highlights how well your subject line is crafted, more than anything else. It can also speak to the larger picture, as in how frequently you’re sending emails, prior engagement, and the health of your email list. Click-Through Rate: What percentage of people are clicking on your email and web copy links, digital ads, and social posts? CTRs are indicative of many things, but none are as important as the strength of your call to action. It ought to be simple, clear, and beneficial to those doing the clicking. Data is only numbers unless you understand the significance of those numbers and how you can translate them into insights and improvements. And the only way to improve is to test and measure. Remember that this has been a very simplified overview of data analysis in marketing. There is so much that goes into it, and it’s constantly evolving. This is why being a successful leader in marketing today involves wearing many hats and learning on the fly.